Food Supplement Ingredients Market to Cross $2bn by 2024: Global Market Insights, Inc.
U.S. food supplement ingredients market revenue to witness growth at over 7% to 2024 as growing occurrence of various chronic disease such as diabetes, heart attacks and arthritis will boost requirements for dietary supplements owing to their ample health benefits driving industry growth. Food Supplement Ingredient Market size will exceed USD 2 Billion by 2024, according to new forecast statistics by Global Market Insights, Inc. Increasing obesity rates among children and adults owing to change in lifestyle patterns and consumption of food products may drive the food supplement ingredients market demand. Increasing trend towards weight management among working professional group owing to hectic lifestyle may drive the product demand. Food supplement ingredients requirement is rapidly growing owing to their rich nutrient content, of vitamins, iron, and minerals which are further required for balanced nutrition. Companies are highly engaged in marketing their food supplement products to athletes thereby increasing their sports performance. Well-trained and recreational athletes require these food and dietary supplements for improving performance and achieve a viable edge. Vitamin B12 food supplement ingredient was valued at over USD 60 million in 2017. These are served as a supplement ingredient which can be taken in the form of tablets or powder. Significant vitamin B12 deficiency among geriatric population is creating a huge health concern where food supplements play a vital role in the production of DNA, nerves, and blood cells which is likely to stimulate market growth. Food supplement ingredients from amino acid may register significant growth at over 4.5% by the end of forecast period. Amino acids are used by various gym professionals as they aid in muscle building and are considered essential in burning fats. These supplements also aid in improving sports performance for athletes, which may drive the product demand. Food supplement ingredients in capsule form was valued at over USD 155 million in 2017. Easy availability & absence of odour in capsules along with an upsurge in chronic diseases among the significant elderly population should promote the food supplement market growth of products in capsule forms. Food supplement ingredients from pregnant women was valued at over USD 105 Million in 2017. Growing cases of delayed childbirths owing to a rise in the number of working women, disposable incomes, and growing prescription of prenatal vitamin supplements to improve embryo health should stimulate the product demand. Furthermore, these products offer various nutrients such as iron, folic acid, calcium, and iodine, which minimize the risk of neural tube defects at birth and fill dietary gaps in pregnant women, which should boost market growth. Germany food supplement market from vitamin is anticipated to surpass USD 100 million by 2024. Growing adoption of these products owing to their consumption for maintaining overall health may drive the regional demand. Increasing trend towards self-medication owing to increasing awareness regarding OTC products may drive the regional industry growth. China food supplement ingredients from amino acid was valued at over 5 million in 2017. Sports is an essential part in Chinese culture which require various nutritional products to boost their overall performance. Amino acid aid in building muscle and reduce fat levels in the body maintain a balanced weight, which may drive the regional growth. Naturex, Nestle, Lonza, Herbalife Nutrition and Pfizer are key players in food supplement ingredients market. Introduction of new products and continuous enhancement in R&D may drive the industry growth. Global Oryzanol Market size was worth over USD 1.4 billion in 2018 and will witness over 13% CAGR up to 2025. 2. Isoflavones Market Size By Source [Soy (Food & Beverages, Nutraceuticals, Cosmetics), Chickpea (Food & Beverages, Nutraceuticals, Cosmetics), Red Clover (Food & Beverages, Nutraceuticals, Cosmetics)] Industry Analysis Report, Regional Outlook (U.S., Canada, Mexico, Germany, UK, France, Italy, Spain, Russia, Poland, Denmark, China, India, Japan, South Korea, Thailand, Australia, Malaysia, Brazil, Argentina, Saudi Arabia, UAE, South Africa), Application Potential, Price Trends, Competitive Market Share & Forecast, 2019 - 2025. 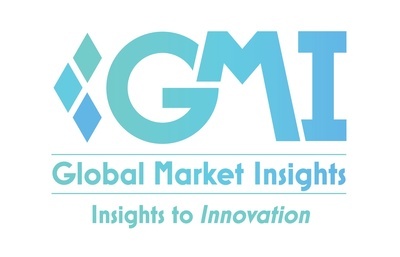 Global Isoflavones Market size was over USD 13.5 billion in 2018 and industry expects consumption above 650 kilo tons by 2025.